Home / newbeer / We’ve Got A Winner! 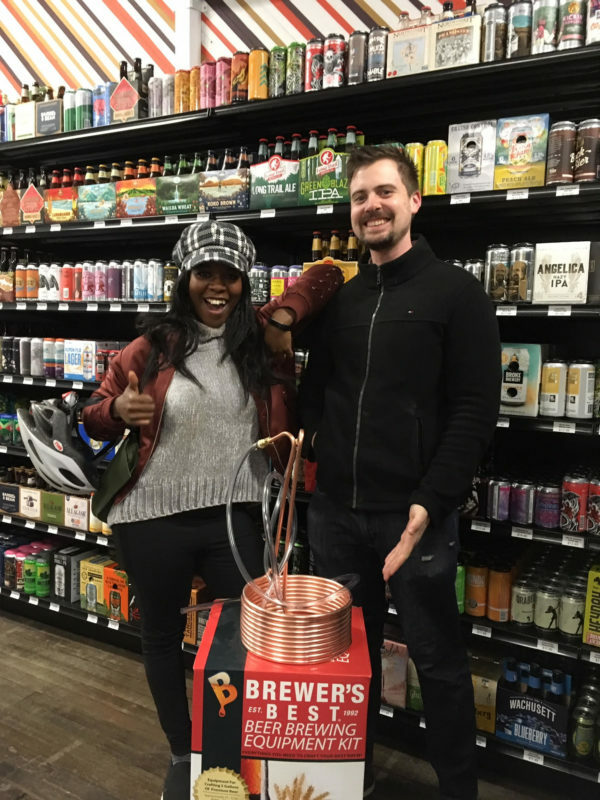 Congratulations to Tonette, the winner of our latest giveaway – a 5 gallon Brewer’s Best kit and 25 foot copper wort chiller! She stopped by to pick it up today and was super excited to get her very first homebrew kit. Good luck on your first brew Tonette!